Sprague-Dawley rats fed a fructose-rich diet exhibit insulin resistance and hypertension, a pathologic status resembling human type II diabetes mellitus, and are an excellent laboratory animal model for research on insulin action and the development of hypertension. Since green tea has numerous beneficial effects, we tested its effect on fructose-fed rats. 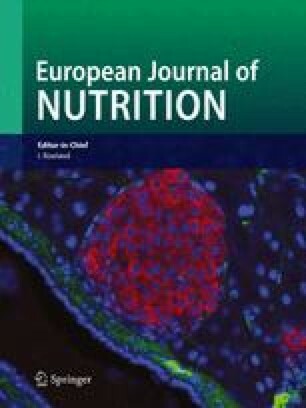 The present study was therefore designed to further evaluate the effects of green tea supplementation on insulin resistance, hypertension, and the glucose transporters I and IV contents in adipose tissue in the fructose-fed rat model. The animals were divided into three groups and fed for 12 weeks with standard chow and water (control group), a high fructose diet and water (fructose group), or the same high fructose diet, but with green tea (0.5 g of lyophilized green tea powder dissolved in 100 mL of deionized distilled water) instead of water (fructose/green tea group). During the 12 weeks study period, fresh water or green tea was provided daily at 6:00 PM. Blood pressure was measured twice a week, and an oral glucose tolerance test performed after 12 weeks of diet supplementation.At the end of the experiment, plasma triglyceride (TG), free fatty acid (FFA), glucose, and insulin were assayed. The epididymal fat pads from all rats in the same group were pooled and adipocytes isolated and tested for insulin binding, glucose uptake, and their content of glucose transporters I (GLUT I) and IV (GLUT IV). Compared to the control group, the fructose group developed fasting hyperglycemia, hyperinsulinemia, and elevated blood pressure. Insulin-stimulated glucose uptake and insulin binding of adipocytes were significantly reduced, and the glucose transporter IV content of adipocytes also decreased. The fructose/green tea group showed improvement in all of these metabolic defects and in insulin resistance and blood pressure. Based on these results, we suggest that the amelioration of insulin resistance by green tea is associated with the increased expression of GLUT IV.